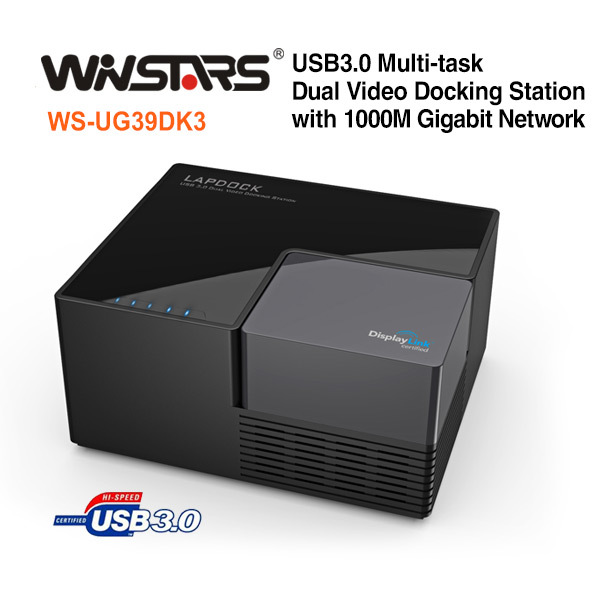 WS-UG39DK3 Multi-task Universal Dock enables you can easily expand your desktop and make your laptop more mobile. It lets you connect up to 2 additional monitors and all of your devices into one central location. When you need to be on the go, easily disconnect with one simple connection. Having a WS-UG39DK3 is like having two PCs: a laptop to keep you mobile, and a big powerful desktop system to sit down and dig deeper into your digital world. 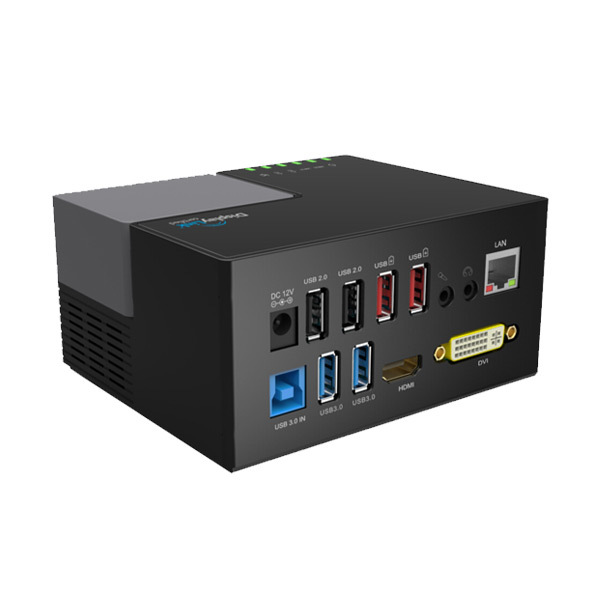 It does what a traditional, bulkier port replicator does--and far more--with a much smaller footprint and without the expense of buying proprietary devices. Read your mail on one screen, surf the internet on another, and watch movie on the third. For stockbrokers, business professionals, busy students or mega-moms, it's like having a second pair of eyes and extra set of hands. You can also share multiple devices due to 2-Port USB3.0 and 4-Port USB2.0, such as printer, scanner, camera, external hard drives, keyboards, mice and more USB devices.